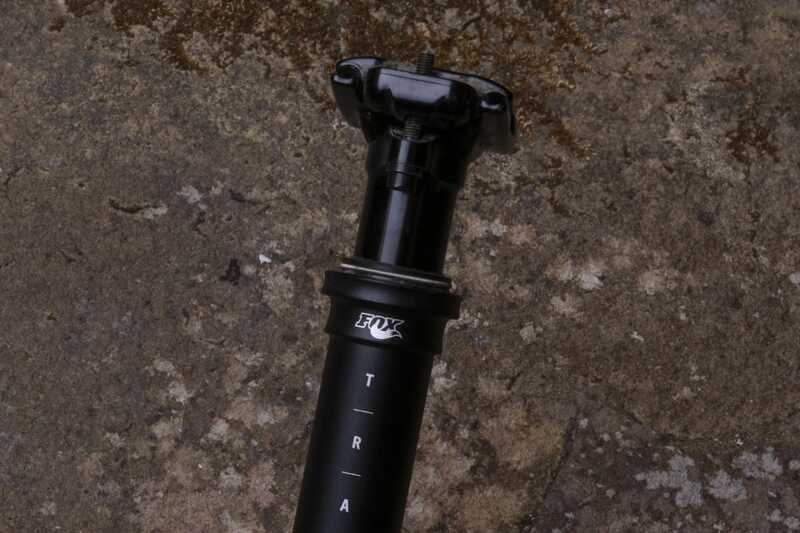 Fox Racing Shox first entered the dropper post market in 2012 with the original D.O.S.S (Drop Off Stupid Stuff – or something to that effect). While coming in a little later to the party, the D.O.S.S laid the Californian brand’s reputation for offering a simple and reliable telescoping seatpost at a time when many others were painfully unreliable. 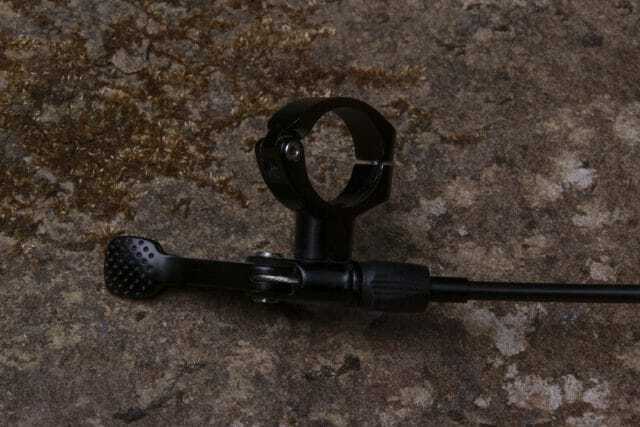 Using a straightforward air spring to push the post upwards, the D.O.S.S featured an entirely mechanical locking system that offered three preset height positions in either 100mm or 125mm travel options. There was no hydraulic damper, no internal floating piston (IFP), and just a straightforward external actuator that could still be operated even if you busted the cable somehow. It was hella sturdy. In fact, we’ve still got one in the office that to this day has had zero issues during five years of heavy use, with just the occasional check of the air pressure and a new cable from time to time. Otherwise it’s still working 100%, and you really can’t say that about many other five year old droppers out there. The remote was enormous however, and when mounted above the bar with a 2x setup, the lever stuck out like some kind of haggard radio transmitter. The flip side was that it worked really well under the left-hand side of the bar with a 1x setup. 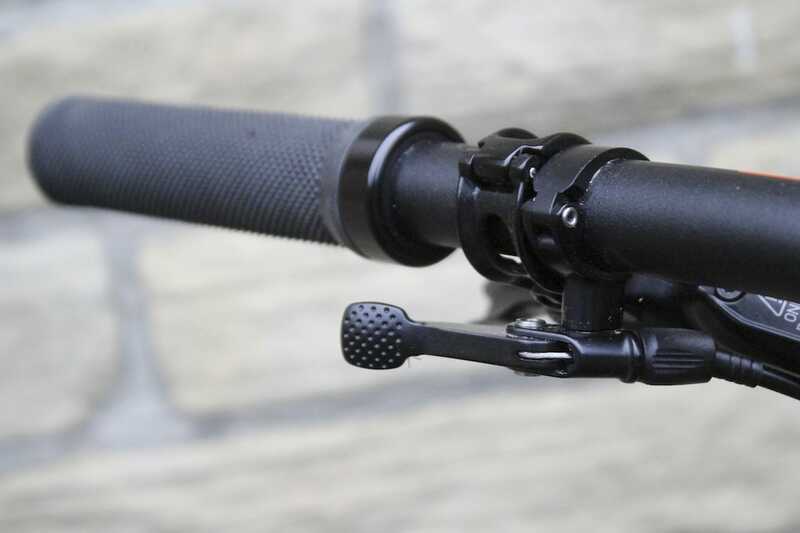 And although aftermarket levers like the KS Southpaw and Wolftooth ReMote have been gaining plenty of fans lately, the D.O.S.S was arguably the original 1x dropper lever on the market. The Transfer replaced the bombproof D.O.S.S dropper post last year. But despite the D.O.S.S having earned a glowing reputation for its durability, its generous weight (670g), limited travel and external-only cable routing steadily fell out of favour with riders who were looking for internal routing and more than 125mm of travel. 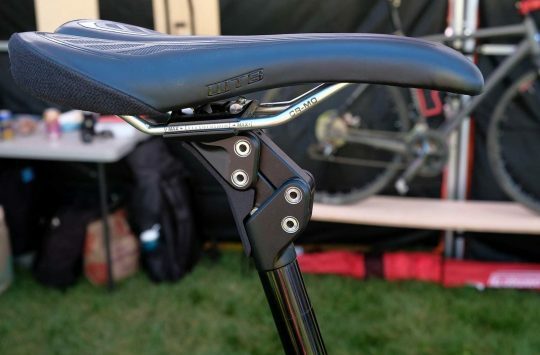 And so in April of last year, Fox debuted the successor to its original dropper post, releasing the all-new Transfer at Sea Otter. Aside from the Thomson-inspired twin-bolt saddle clamp, the Transfer shared nothing else in common with the D.O.S.S. Instead of a mechanical locking system and an adjustable air spring, the Transfer employs a nitrogen-charged IFP and a hydraulic damper that control the post height. 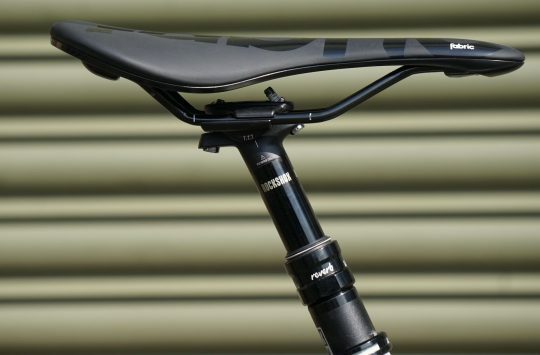 This offered up the ability to set the saddle height anywhere in the post’s travel, which is now available in 100mm, 125mm and 150mm options. There are 30.9mm and 31.6mm diameters available (no 27.2mm Transfers yet), and you can get external or internally routed options. 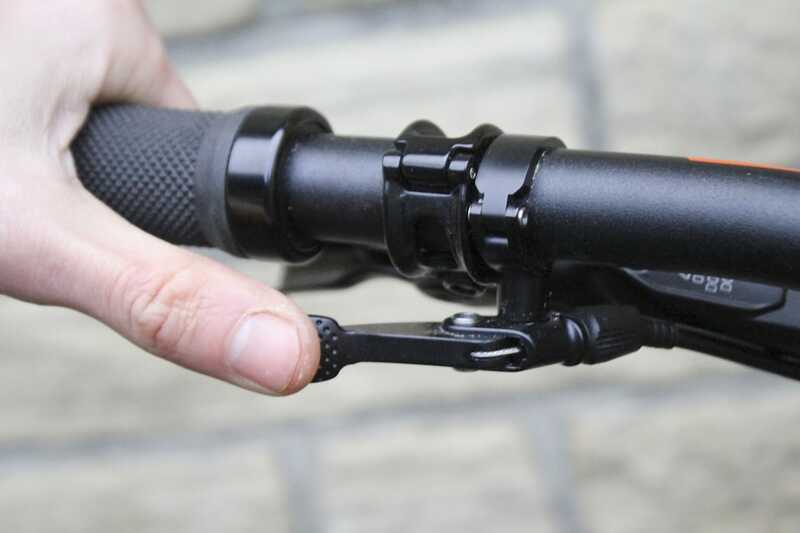 A twin bolt saddle clamp is secure and easy to micro-adjust. Fox offers the Transfer post with a gold Kashima coated stanchion (Factory Series), or with an all-black anodized stanchion (Performance Series). Internally, externally and functionally, the posts are identical. The only difference is the Kashima Coat, which will set you back an additional £50 for the luxury. The post I’ve been testing here is the cheaper Performance Series model in the 30.9mm size with 150mm of travel and internal routing. One thing to note is that while the post sells for a reasonable £319, that doesn’t include a remote. So you’ll either have to BYO, or purchase one from Fox. You can get both 1x and 2x options, which sell for £69, bringing the total price up to £388. Remote sold separately. The £69 remote is really nice though, and very compact too. I’ve been running the 1x remote, which is a shadow of the former D.O.S.S version. It’s compact, nicely machined from alloy, and has a rounded thumb paddle that’s easy to hit. Personally I’d like the paddle to be a bit bigger (like the Wolftooth ReMote), but it otherwise works well and has a beautifully light action. I also like that the Transfer puts the cable grub screw at the lever-end, and not at the base of the post where it’s far more fiddly and stress-inducing. Instead, just load the cable head into the actuator arm at the bottom of the post, route the cable, thread it through the handlebar remote, and secure it via the small grub screw. Having set up the Transfer on a number of different bikes, I’ve grown to appreciate the considered design of both the cable routing, and the bomber twin-bolt saddle clamp. Two thumbs up Fox! 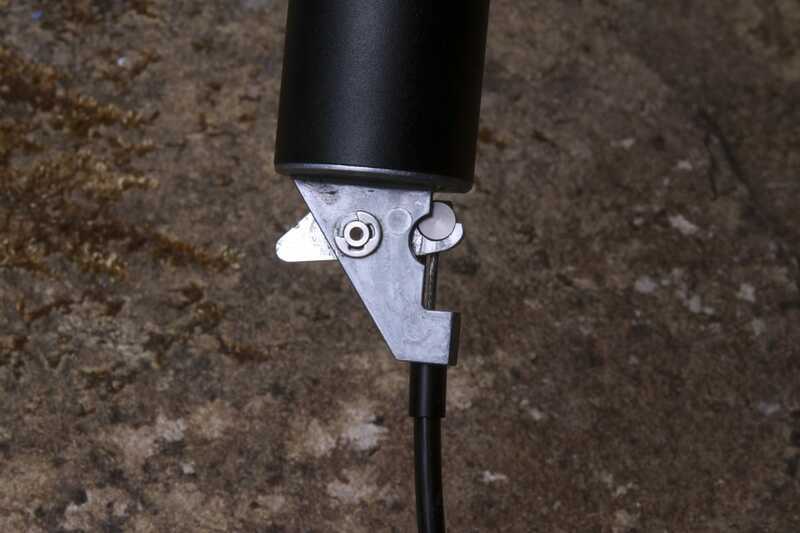 The cable head fits easily to the base of the post – no annoying grub screws here. 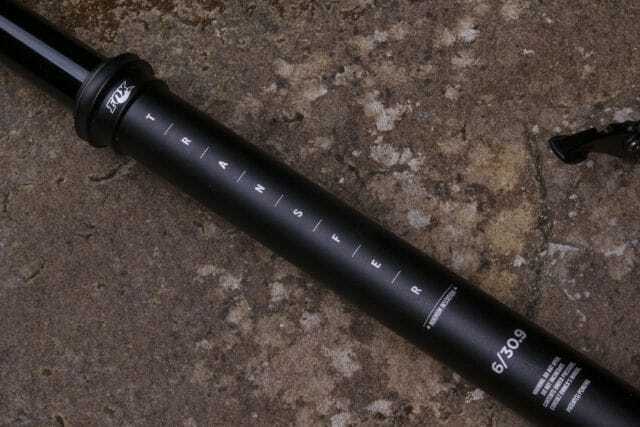 You may recall that Chipps tested and reviewed the Factory version of the Fox Transfer as part of our dropper post group test, where it received a Recommended label for its slick function and foolproof durability. He’s already done a great job of explaining how the post works and why it’s one of our favourites, and you can read his full review here. 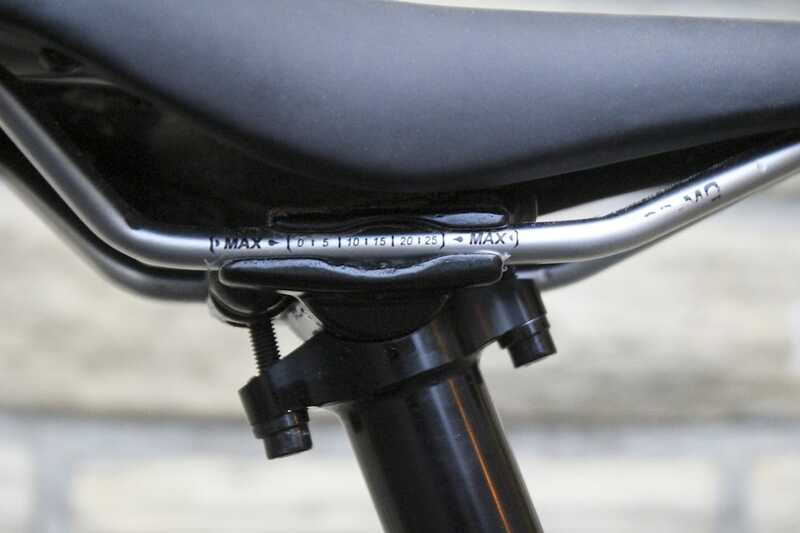 Ultimately my experience has been the same as Chipps – the Performance Series Transfer has been absolutely flawless through the time I’ve tested it, with a very low-friction feel to the travel that makes many other dropper posts feel sticky in comparison. The travel is infinitely adjustable, so you can set the saddle anywhere you like within that 150mm of travel. And you can also modulate the return speed with the remote – push the lever slowly, and the post returns slowly. Push the lever quickly, and the post returns quickly. Simple, intuitive, effective. 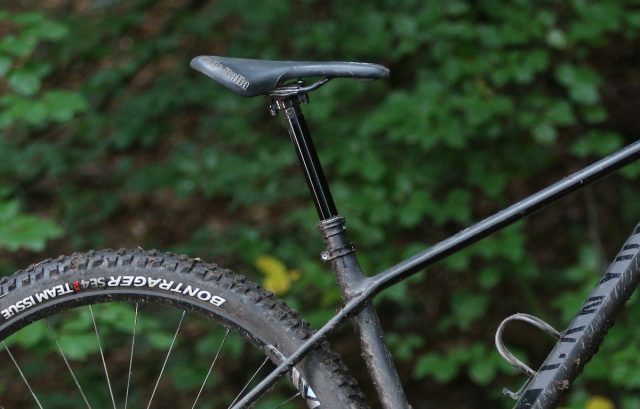 The 1x remote takes up the space where a left-hand shifter would sit. The action is uber light, and the paddle is easy to hit, if a little small. My favourite aspect of the Fox Transfer though is its audible top-out clunk, which signals the saddle’s arrival back to full height. Even when you’ve got the wind rushing past your ears and rocks crumbling underneath your tyres, that loud ‘thunk’ sound can always be heard, and there’s never any ambiguity as to whether your saddle is sitting where it should be. 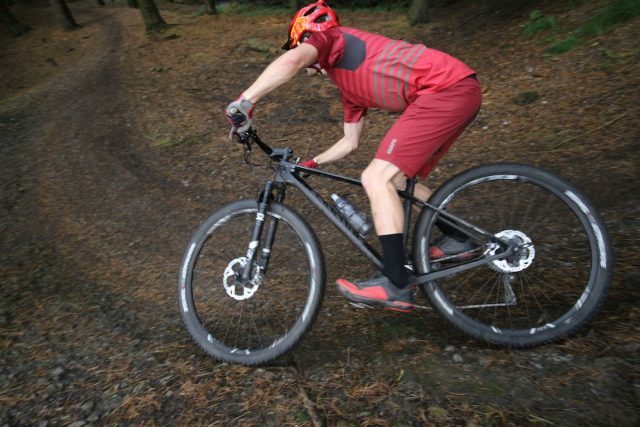 I mostly tested the Transfer aboard a Canyon Exceed carbon hardtail. I’ve mostly tested this particular Transfer on a Canyon Exceed, which was the first carbon XC hardtail I’ve used a dropper on – let alone one with 150mm of travel. Although the Transfer adds a good 400g of weight or so, in my opinion, it is more than worth it. With the saddle slammed out of the way, I found the Exceed to be so much more nimble and so much more willing to duck and weave through tight corners. For the added weight of half a water bottle, the improvement to the bike’s technical prowess and fun factor is a no brainer. You can read my full review of the Exceed and how it handled with a dropper post here. XC riders may still be resistant to the extra weight, but holy mackerel is it fun having a dropper on a carbon hardtail like this! Like Chipps’ Factory version that’s been going strong for 18 months now, I’m yet to have any issues with this Transfer dropper. In addition to that, we’ve had experience with loads of other Transfer droppers on various test bikes, and they’ve all performed with the same reliability. There’s been no twisting, and no weird self-lowering issues. The Transfer has also retained its slippery-smooth action, which is impressive given the filthy conditions we find ourselves riding here in The Grim North™. This is interesting because inside the Transfer, its guts are much more complex than the D.O.S.S it replaced. The sliding action itself is governed by two bushings like the lower leg on a suspension fork, while three thin brass keys help to mitigate rotational play. A range of different thickness keys are available aftermarket, which means you can tune out any wobble that may develop over time. Unlike the D.O.S.S though, the spring inside the Transfer isn’t user-adjustable. In fact, after taking a look at the instructions on the Fox website, there isn’t much inside the post that is user-serviceable, unless you own a nitrogen tank and enjoy playing with really fiddly little small things. If that doesn’t sound like you, then if you do ever have an issue with your Transfer, you’ll be wanting to send it to the experts for any overhauls. This is a little different to posts such as the Bontrager Drop Line, which in comparison is dead simple to tear down and service. That said, while those cartridge-based droppers (Giant Contact SL Switch-R, Brand X Ascend, Syncros Dropper 2.0, Pro Koryak) are easier to service, they do require more frequent servicing in the first place, so it’s swings and roundabouts really. In our collective experience here at Singletrack, we’ve never encountered an issue with the Transfer in the first place – and that’s a very good thing indeed. We’ve had nothing but flawless performance and reliability with the Fox Transfer dropper post. 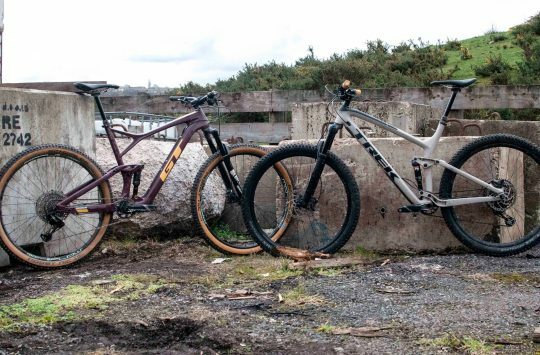 We already knew the Fox Transfer was a brilliant post, and the Performance Series version cements our opinion. Unless you absolutely have to have that gold Kashima coating, you’ll save £50 with this one, and it’ll perform exactly the same. Because the post doesn’t include the remote, the total cost does end up being pretty pricey. You get what you pay for though, with both impeccable performance and durability coming as standard. I also like that you can choose your own remote rather than getting stuck with one that may or may not work for you. Personally, I’d actually just buy the post and elect to purchase the excellent Wolftooth ReMote. Otherwise, the Performance Series version of the Fox Transfer is up there as one of our favourite droppers on the market right now. And providing you don’t make a habit of staring at your crotch and lamenting the lack of gold while riding, there’s no reason to spend the extra money. Buy an aftermarket lever though. the Fox one works but is fairly fragile and it’s shockingly expensive. The Bontrager drop line under bar lever is £17.50, runs on a bearing and feels more solid (though is also a good chunk heavier). After years of ‘give it another bleed’ Reverb life + atrocious cold-winter performance, I put on a Transfer this past spring. Absolutely solid performance and now that it’s cold, flawless return speed in below zero temps mean I’m a very happy camper. I bought a Wolf Tooth Light Action remote that works great with my XT brakes. I have had mine for around three months. It is my first dropper post and I found it to be a great bit of kit. That is until last weekend when the temperatures were around freezing. About an hour into the ride and it refused to stay up when weighted and the cable by the lever went slack. After a bit of unsuccessful fiddling I had to curtail the ride. When I got home it seemed to be holding firm against weight again. Possibly a cold weather issue? What on Earth has happened to the usual ST ‘review’ writing format, consisting of: 1000 words of pointless preamble, then another 4000 describing how product X is really good if you are a rider with a beard, whereas product Y is fantastic for riders who like mud, and product Z is a great match for people with red bikes made of steel?